Deep in the rugged mountains of southern West Virginia, nestled in the cradle of an idyllic little valley, the tiny town of Brandell, and its colorful cast of lovable characters, hold an ancient secret. Here, in this most unlikely of places, the women of Brandell Valley cook, clean, shop, gossip, dream, fall in love – and guard the gates of Hell. The tranquility of daily life in the valley is disrupted when Lucifer finds a way out of the depths. He simply quits his job as the Devil, packs his bags, and heads for Florida. Pandemonium erupts in the valley when, without the devil to keep things in check, various demons find their way out of Hell and wander into Brandell. 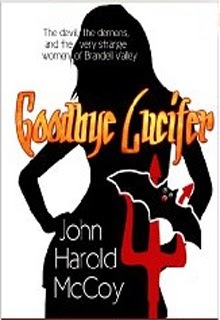 A rather likeable Lucifer, decidedly un-evil demons, sorcery gone awry, romance and hilarity set the tone of this heart-warming, very tall tale.